It is officially my blog’s first year anniversary! I can’t believe it’s been a whole year since I started this blog and that I’ve actually been able to keep up with it. Thanks so much to all of you who take the time to read the entries – I really am so flattered that my friends read this and try making the recipes! I’ve been making a fair amount of baked goods lately (what else is new) and I thought this recipe would be a fun one to share for the official little blogversary. This is easy enough to make on a typical day (all the ingredients you should normally have in your pantry except for maybe the dried cranberries) but adds a few additional special touches like melting more chocolate, adding in cinnamon, and browning the butter of course, which makes everything better. 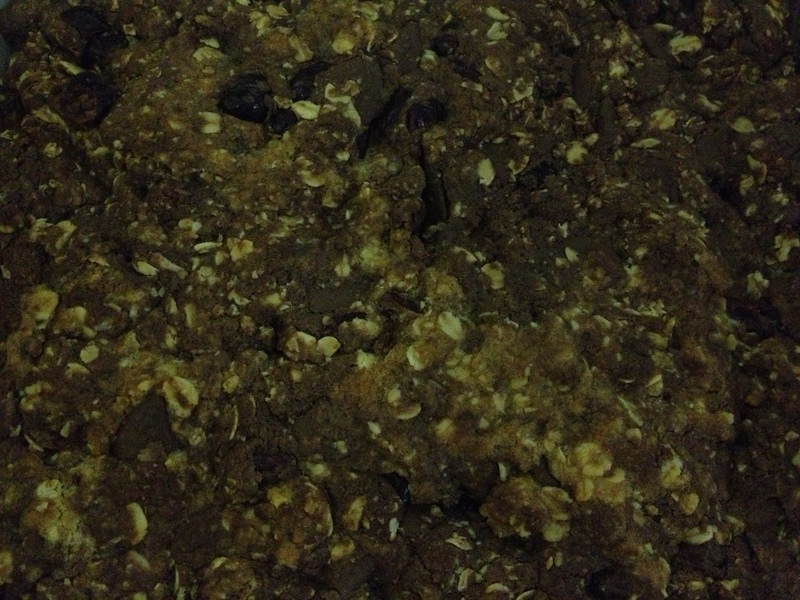 Plus, you add oats and even more chocolate chips at the end. There are a LOT of really amazing ingredients in these bars and they pack a huge flavour punch. The recipe below makes a lot, so in the photos below I actually just made half a batch. It’s easy enough to cut the whole recipe in half, which would make about 16-18 cookies. For the bars, put them in a square pan if it’s a half batch, and for the full batch, put them in a larger rectangular pan. I’ve made this dough into both cookies and bars and it tastes the same, but if you are in a slightly lazy mood making the bars is great since you just push all the dough into the pan and let it bake. 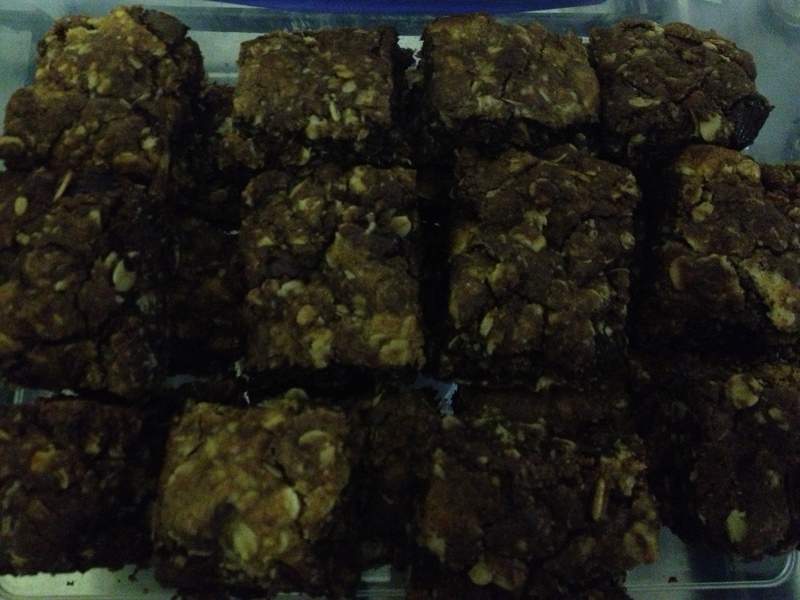 I should also add that these bars smell truly heavenly while they are baking. Inhale and be happy! Put your butter in a small saucepan to brown it. Melt over medium heat, stirring frequently. Once the butter melts, it will continue to cook and foam up. 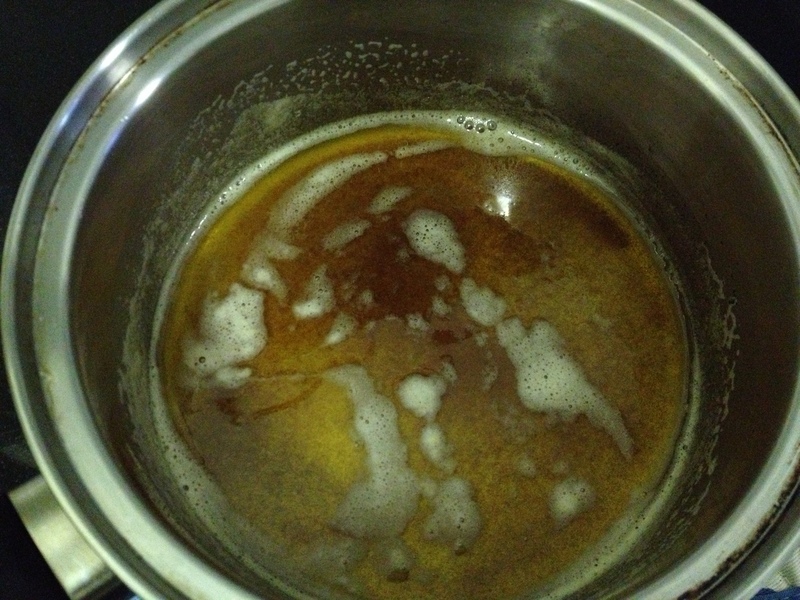 This is when you want to stir constantly – overall it will take about 10 minutes, but watch it carefully and smell frequently and then take it off the heat once you see little brown bits start to appear. Then remove the pan from the heat and I like to put it on a potholder in the fridge immediately to cool. Let it cool for about 15 minutes. Then, pre-heat the oven to 180 C / 350 F. Add both sugars and beat them in until it’s smooth. Add in the eggs and vanilla and beat them in until smooth again. Then put in the baking soda, salt, and cinnamon. 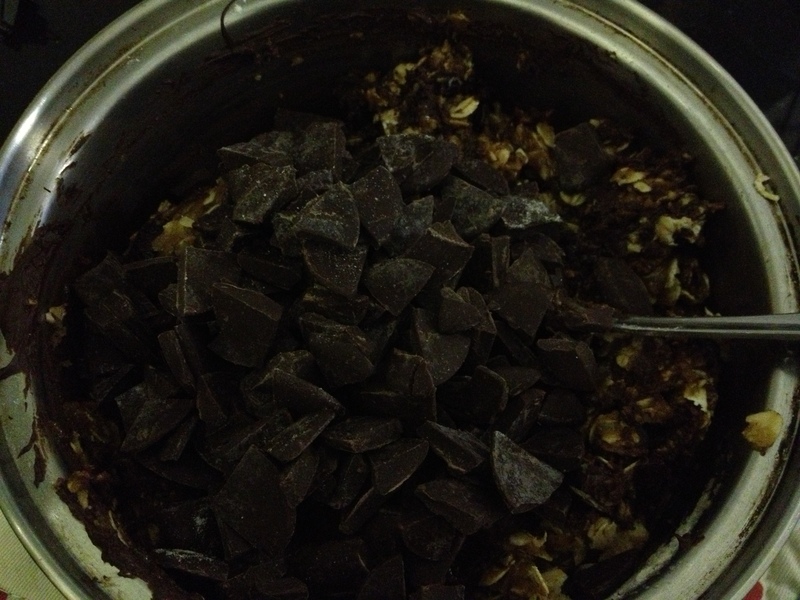 In the microwave, melt the 1.5 cups of chocolate chips – stir at 30 second intervals to make sure that it doesn’t burn. 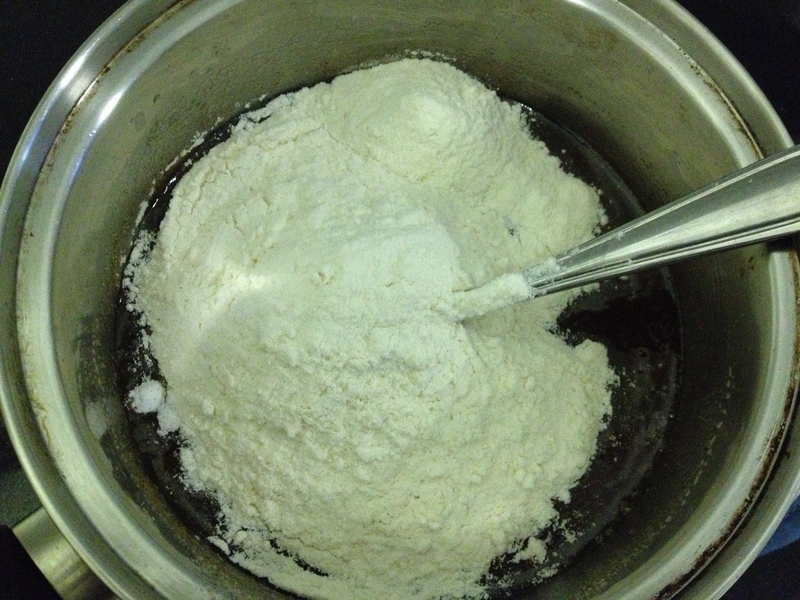 Add in the melted chocolate to the bowl, and then mix in the flour. 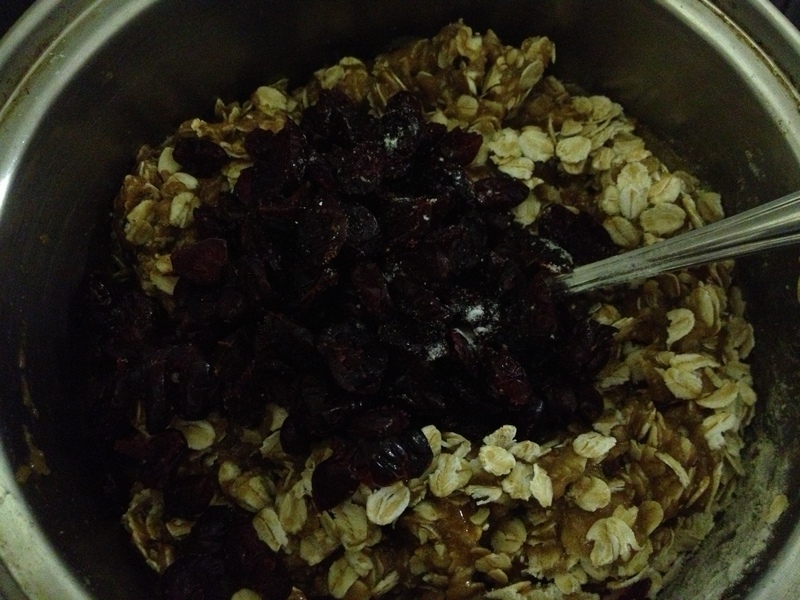 Then add in the oats and dried cranberries, and then add in the remaining cup of chocolate chips or chopped chocolate. At this point, it’s probably best if you use your hands to make sure everything is all mixed in. Depending on what you want, you can either form into cookies on a parchment paper lined tray, or put a piece of parchment paper in a square pan or rectangular larger pan and push all the dough into it to make a bar. For cookies, bake about 10 minutes, and for a pan, you’d want it to be in the oven for 20-25 minutes. I know this is quite approximate but just use your best judgement – when it starts to smell amazing just check with a knife (if you’re doing the bars). 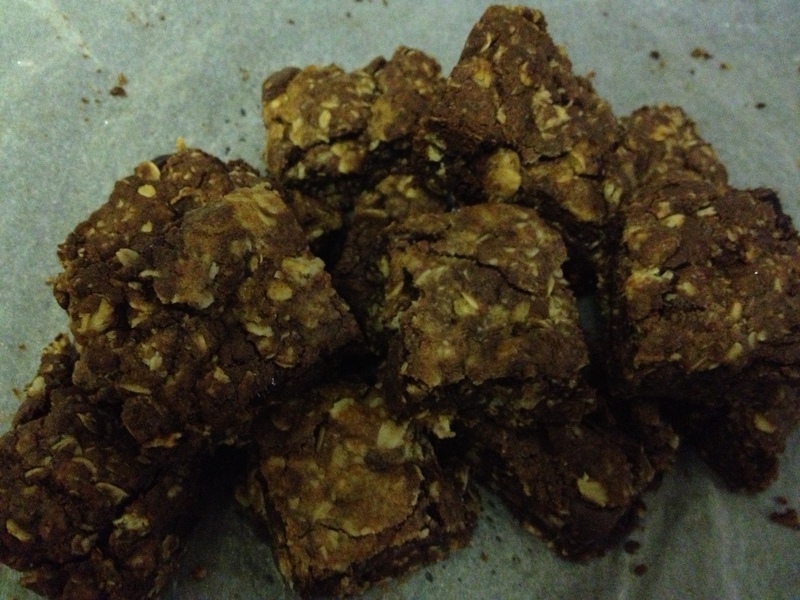 Remove from the oven and let them cool (sampling the corner or half a cookie of course). For the bars, once they are cool, cut into squares. These bars are basically chock full of awesome in case you didn’t notice. They have three amazing things: browned butter, dried cranberries, and excessive amounts of chocolate. Plus the slight tinge of cinnamon makes them smell even more amazing. This is not the fanciest recipe ever but I thought it was quite appropriate for my one year blogversary since it’s representative of my baking style in that it’s fairly simple to make but tastes absolutely incredible!